By John Hertz: I’ve been thinking about Steve Sneyd. Maybe you have too. He died last June (1941-2018). His name meant the handle of a scythe. In 2015 the Science Fiction Poetry Association named him a Grand Master. Here’s a short poem. He called it “A Real Test of Human Resorce”. I’m reluctant to change his spelling; he was hardly illiterate; consider if he might have meant This may happen if U aren’t there. You can and you might like to look around for things he wrote. Maybe you have, some. I often disagreed with him. That doesn’t always matter. Among other expressions he published the fanzine Data Dump, quarterly for a quarter-century. I was a regular contributor for half its life. He published five dozen of my poems. Among things from me that couldn’t fit in Data Dump – four pages handwritten on both sides of a sheet of A5 paper folded in half (oops, out of room!) – you might like these, so far not appearing elsewhere. Besides Toledo, whose claims are old and sound, I am told that since 1998 there has been a Marzipan Museum at Kfar Tavor, i.e. Mt. Tabor, in the Galilee, i.e. north Israel, where almonds grow. You yourself are an Almondburian. But shoot your next shaft better. This one has missed the mark. Kept hold of skin and bark. An Irish friend has explained to me there’s only one bean sidhe (“banshee”). One, she comments, is quite enough. Barbarella is the eponym, and Durand Durand is another char­acter, in Jean-Claude Forest’s Barbarella comics, translated from French by Richard Seaver and published in the Grove Press Evergreen Review (##37-39, 1965-1966) then separately by Grove Press (1966). In French the final “d” of “Durand Durand” is silent. Haven’t seen the film, whose images do not suggest any grasp of the original – maybe I’ll let that pun remain. – an argument which ignores Poe’s exquisite irony, and may earn its place in the Hall of Shame simply by not troubling to look up “Lamia”. Tender-person’d! A tender-person’d succubus! Poe is applauding science, and satirizing those to whom its help at best seems the ghost of folly haunting their sweet dreams (Keats, “Lamia” ll. 376-77, 1820). Indeed Austen’s world is alien to us. So few of us who read her now trouble to look what it is, instead of only seeing our own notions in it, that I tremble at the thought of our meeting off-planet aliens any time soon. Any man who seeks a sexbot deserves what he gets. Courtesans laugh at us. “Love for sale – old love, new love, every love but true love” (C. Porter, 1930). Eliza Butler’s Myth of the Magus (1948; 3rd ed. 1993 pp. 100-101) calls Phoebilla a treacherous woman. But Domenico Comparetti’s Vergil in the Middle Ages (1872; Benecke tr. 1895, p. 361), discussing Jean d’Outremeuse, Ly Myreur des Histors (14th Cent. ), points out that Phoebilla, in love with Virgil (so spelling since we discuss the legendary magician, not the historical poet), made clear she expected marriage, and only after he took advantage of her by enjoying relations while con­tinuing to defer legitimating did she humiliate him with the basket – or, if he was omniscient, put him to the trouble of sending a demon in his semblance. We can certainly do call and response if you like. Why should poets be useful? And harden their minds to be ruseful. “Ents & Tech”. Now there’s an image. although, or perhaps because, I had then neither heard, nor heard of, Brian Peter George St. John le Baptiste de la Salle Eno, RDI. Of course a preacher fails if he is taken for a free-floating miasma of misdeed. What a name for a poet-scientist is Valerie Laws! By John Hertz: A sneyd (also snead, sned, snathe) is the handle of a scythe. The Science Fiction Poetry Association named Steve Sneyd a 2015 Grand Master of Fantastic Poetry. Marge Simon too, but Sneyd is a fanziner. He was poetry editor for Langley Searles’ unsurpassed Fantasy Commentator. His own Data Dump has been published a quarter-century; I reviewed it in Chunga (“Unfolding Stars”, Chunga 14). It’s mostly about poetry, preferably strange. For a decade he ran a series of acronyms, printing five dozen of mine, e.g. On the occasion of the Grand Master award, Andrew Darlington posted a 3,400-word piece “Steve Sneyd from Mars to Marsden” at Darlington’s Weblog Eight Miles Higher, with photos, images of Sneyd’s various publications including Data Dump, electronic links, and things too fierce to mention; Darlington says “He’s been featured regularly, week-by-week, month-by-month, year-by-year since the 1960s in more strange, obscure, and esoteric journals than even he can possibly remember.” The piece is framed as an interview, but the poor interviewer found his subject “talks about everything…. everything — in fact, but Steve Sneyd himself.” Earlier last year there was an interview in Amazing. The Science Fiction Poetry Association has selected its first Grand Masters in five years – Marge Simon and Steve Sneyd. Steve Sneyd. Portrait by Catherine Mintz. SFPA’s first four Grand Masters were Jane Yolen (2010), Ray Bradbury (2008), Robert Frazier (2005) and Bruce Boston (1999). Steve Sneyd may be unfamiliar to many; he lives completely off the grid in Yorkshire, England, with no internet presence. His output of poetry has slowed in recent years. Notwithstanding, he should be better known as an important speculative poet and stalwart proponent, chronicler and historian of SF poetry. Steve has been publishing SF poetry since the late 1970s (at least). His poetry has been nominated multiple times for Rhysling Awards, beginning in 1992. His poetry has appeared in Star*Line and Dreams & Nightmares as recently as 2011), The Magazine of Speculative Poetry and Hadrosaur Tales, as well as many SF and poetry journals, fanzines, and small-press anthologies. His collections include Gestaltmacher, Gestaltmacher, Make Me a Gestalt: Ninety-Nine Poems from the Nineties (The Four Quarters, 2000) and Mistaking the Nature of the Posthuman (Hilltop Press, 2008). His handwritten (!) SF poetry newsletter, DataDump, in print since 1992, recently celebrated its 200th issue. In it are reviews, news and historical studies of SF poetry. He gives the annual DataDump Award for best SF poem in a British publication. Sneyd has published SF poetry from U.S. and British fanzines and small press, grouped by era (starting with the 1750s! ), as well as themed anthologies. He has written countless essays and forewords, most recently an overview of SF poetry, “Wormholeing into Elsewhere,” in Where Rockets Burn Through, ed. Russell Jones (See the review on Amazing Stories for a brief example of his poetry). The ISFDB site and the SF Encyclopedia have (albeit incomplete) lists of his published poetry as well as more biographical information. 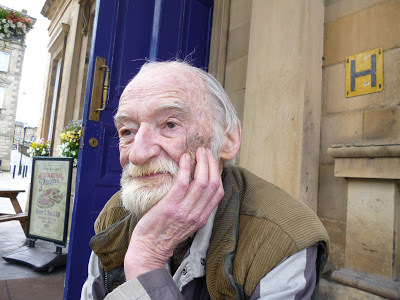 An interview with Steve Sneyd on AmazingStoriesMag.com includes links to his poetry online.